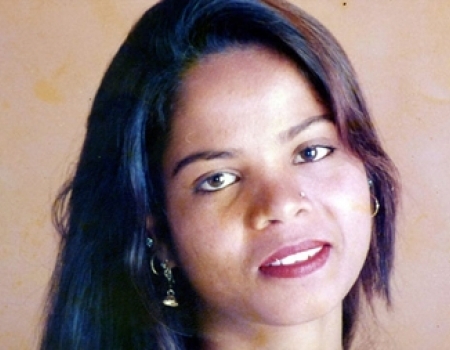 MORTAL DANGER: “It is untenable that Asia Bibi can remain in Pakistan. Rioters, not protesters, are burning tyres, attacking each other, killing themselves in fervent anger that this woman has been set free. If she sets foot out of her home and is recognized, she will instantaneously be killed. Western nations should be jumping at the chance to help this woman and her family.” – Chairman of the Pakistani Christian Association Wilson Chowdhury speaking to Sky News. A CHRISTIAN woman facing trumped-up blasphemy charges and imminent threat of death has been refused asylum by the United Kingdom. For the past nine years Asia Bibi, a Roman Catholic Christian, was in jail for the crime of drinking out a cup from a well which could only be used by her Muslim co-workers. Activists on behalf of Bibi have been protesting outside various European embassies of Pakistan including London, Madrid, Warsaw, Paris, Budapest, Rome and in Washington in the United States. They vow to stay there until Prime Minister Imran Khan relents on the pressure until he allows her and her family passage to seek asylum in a Western country. In 2009 Bibi was accused of insulting two Muslim co-workers when she offered them some water when they were picking berries and they rejected the offer, saying they would not receive any water from a Christian and she retaliated by saying that such a complaint like this would never have been taken seriously in the days before the country of Pakistan was formed. A few days ago three judges and Islamic scholars from Pakistan’s Supreme Court ruled that she had not broken any of the country’s blasphemy laws and ordered for her to be released. Plans are afoot to her and her family to seek sanctuary in Spain or another European country but funds need to be raised quickly to passports can be issued to them. They are in talks with Spain and other countries seeking advice on how to expedite visas and for immediate asylum. The UK Home Office refused a personal plea from her husband to seek asylum due to fears to having her in the country would damage community relations. The Home Office seems to have a track record of being indifferent to the British Pakistani Christian community. Nissar Hussein, an Islamic convert to Christianity, and his family have been regularly having to move house due to threats from his community for changing religions and no prosecutions have been brought for the personal devastation this has caused them. A year ago RT News covered a story that Pakistani Christian taxi driver Tajamal Amar was beaten up by individuals he described as “Muslim Pakistani men” who assaulted him for displaying a cross and poppies on his windscreen in the week before Remembrance Day. No has been arrested or brought to justice for this crime. His interview can be seen here. Since the country has celebrated the sacrifice of the men who died in the First World War and pushes the concept of diversity through work agencies and personnel departments, the collective silence, disrespect and indifference to the plight that this minority community faces both in this country and in Pakistan is particularly shameful. 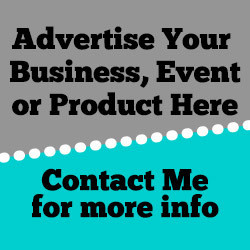 Given the mainstream media is giving it attention because it has been forced to report it rather than going out of their way to find it, it has been given more coverage on here. When she was acquitted, thousands of activists from the extremist Islamist group Tehreek-e-Labaaik took to the streets calling for her immediate execution. Prime Minister Imran Khan, who was recently elected with the help of more conservative voices in Pakistan’s majority Muslim community, caved into the protests and put her and her family on an “exit control list”. Chairman of the British Christian Pakistani Association Wilson Chowdhury said to Sky News: “It is untenable that Asia Bibi can remain in Pakistan. IF anyone wants to sign the petition calling on Imran Khan, the Pakistani Prime Minister, to release Asia Bibi and her family to seek asylum outside Pakistan, there is a link to add your name. Not our problem or financial burden to bear..
It’s an internal political, social, religious and cultural issue. We have imported enough third world issues without importing another. Sick of this country bowing down to a savage stoneage religion .if I was racist I wouldn’t be supporting this woman . There was a time when these Islands was the only light of freedom and democracy for humanity when the world was decending into indifference and tyranny. We held the line no matter what the cost and gave oppressed people all over the world something. Hope. We can give this family hope and safety. One simple act could be the start of pushing back the darkness again. How can a country built on Christian values deny asylum to a Christian woman and her family in their hour of need. SHAME on the powers that be!